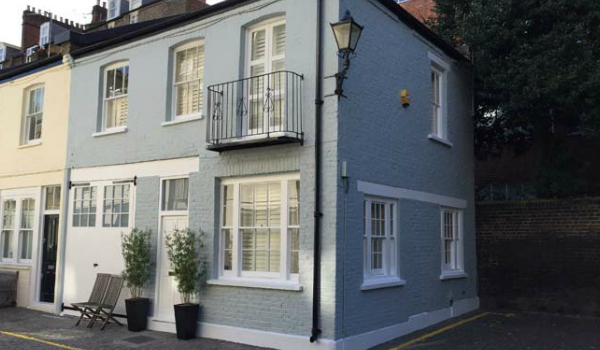 We provide exterior painting services for residential and commercial properties across greater London. The difference between painting the inside of a property and outside of a property is the outside is exposed to the changing elements. And the problem is getting the job to last for as long as possible. When our estimator sees bare wood exposed and deep cracks through the paint, he knows that problem has trebled, as the weather has already affected the wood, so making it less resilient to the changes in temperature and damp. We use a tougher filler and exterior paint. However, the above has a big say on how long the paint job will last. The walls are more able to resist nature’s bashing and the thick exterior paint often last a lot longer than the wood areas. In fact, they usually get dirty and grubby rather than come away. Previously painted iron like gutters and downpipes can rust. So that rust needs handling then a metal paint should be applied. Done properly, they would also last a good while. 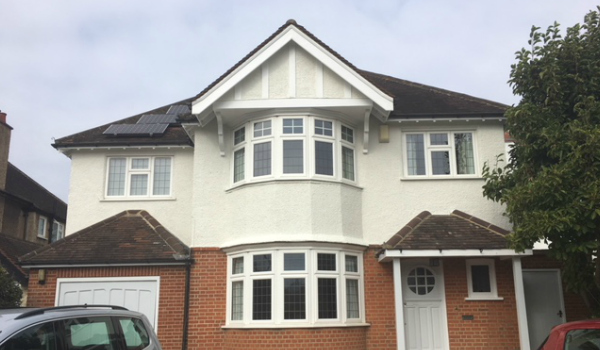 We do our best to get any exterior job we do to last for at least three years, and in fact provide a two-year guarantee. As I hope you would agree, with over 43 years of painting exteriors, we really do know what to do.